Another early piece, Bronze Baby 1 combines three wire techniques. The center section of this neckpiece required incredible precision to create, literally holding my breath to ensure the tight symmetry of all the wires. 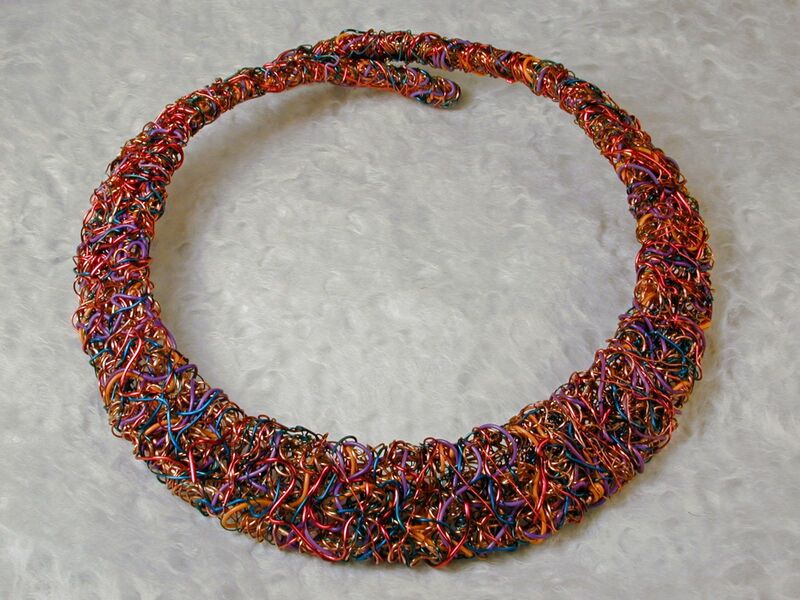 An early piece, Red Wire Necklace, was an experiment in creating dense, multi-colored art jewelry without using a weaving process. 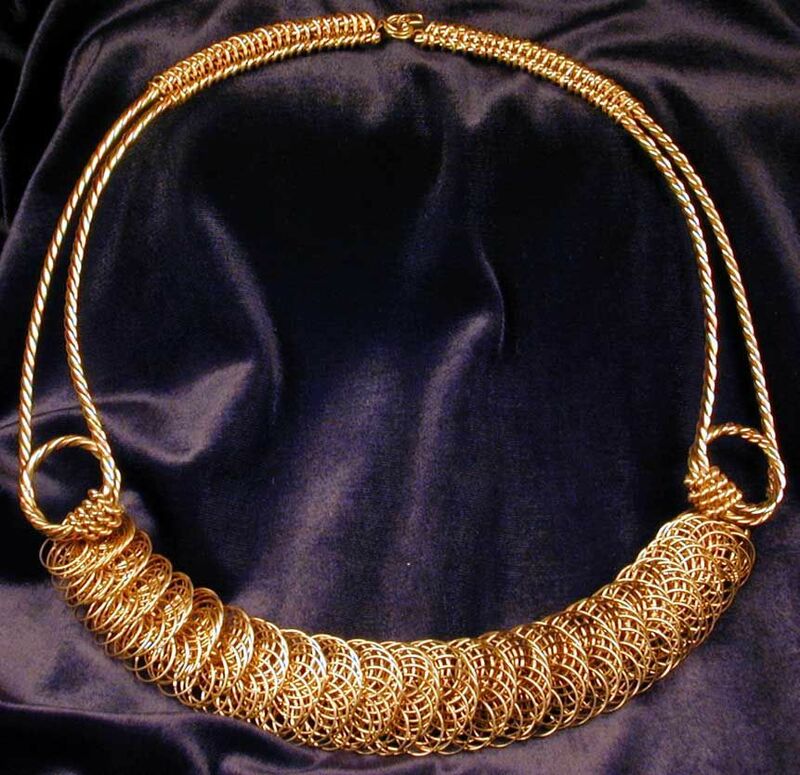 Built over several months, 20 plus layers of a variety of types and gauges of wavey wires were wound and intertwined to produce this incredibly sturdy, highly textured and intricate neckpiece. 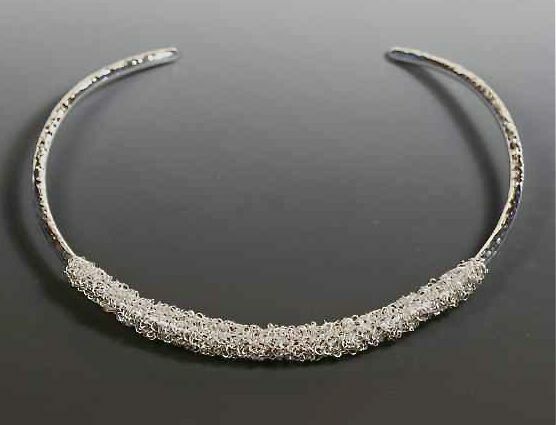 I ended up calling this piece the "Wedding Weave" Necklace because it was actually part of a commission for a bride to be. Wanting to give her something unique, I altered a simple weaving technique to get the fine silver textured center area. That woven piece rests on a pre-made hammered sterling neck ring. 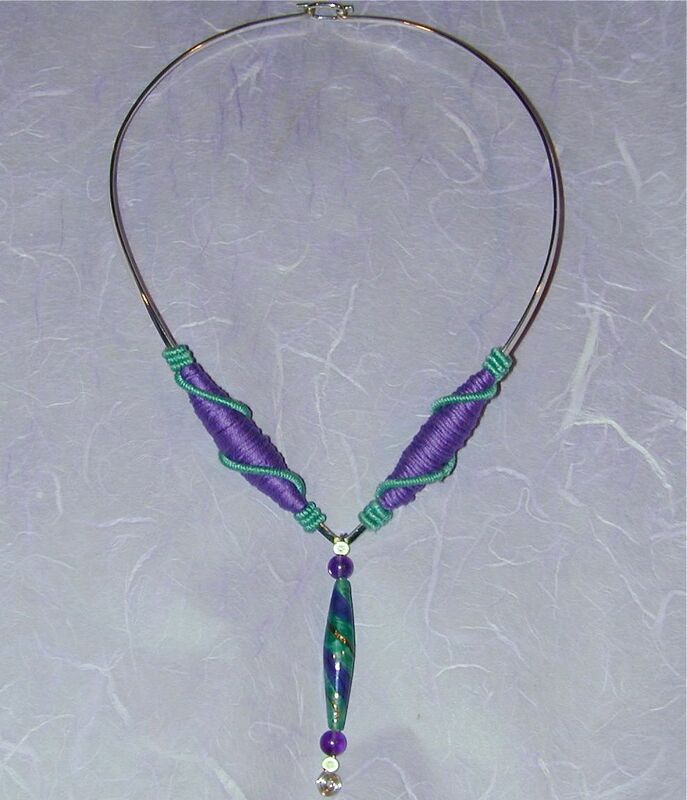 The two fiber wire beads in this neckpiece were built right onto the sterling neck frame. These beads were designed to mimic the beautiful glass bead that dangles down in the center.